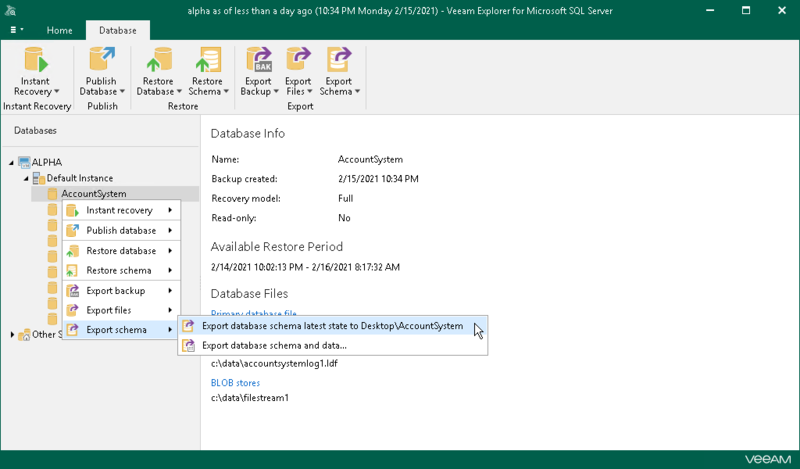 On the Database (or Server/Instance) tab, select Export Schema > Export database schema and data or right-click a database and select Export Schema > Export database schema and data. To import data tables, use the standard SQL server bcp.exe utility. For more information, see this Microsoft article.